The number of Entrepreneur in China has been rising at a crazy pace. It resulted in the implementation of shared work spaces all over the country. The implementation of shared workspaces began five years ago in China. Since then, more than 100 co-working spaces opened in Shanghai and much maker spaces in Shenzhen as well. Welcome to China. As the government wants to increase initiatives and busines development in order to reduce unemployment and become a service market, it provides supports to most of these innovation places. Who does create them ? What are their business models ? Who are the current users ? How do they differ from their counterparts abroad ? And what is the government position ? To answer these questions, we conducted an interview with Hans Stam, a specialist of Chinese maker spaces and with Frédéric Bretar, Scientific Coordinator in Shanghai for the French Foreign Ministry. We also visited two co-working spaces in Shanghai (MIXpace and Naked hub) and we went at the first official hacker space in China, XinCheJian . 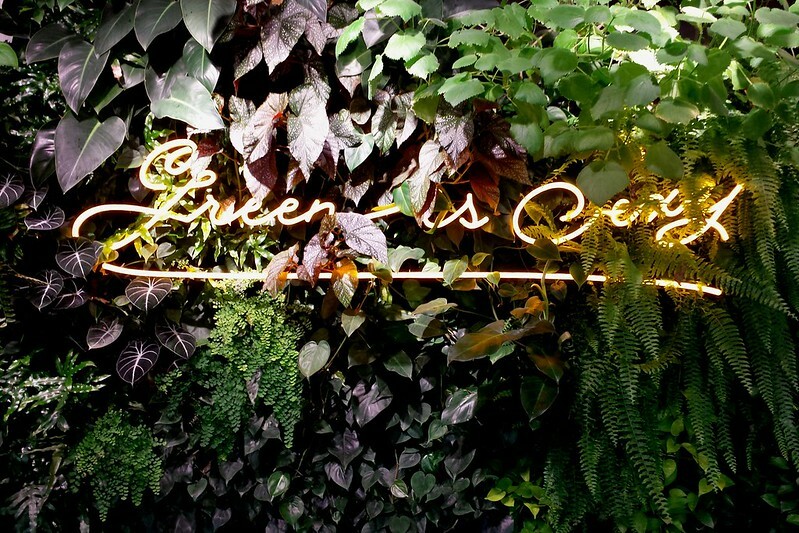 This first blog post focuses on co-working spaces. The next one will introduce the maker spaces trend. 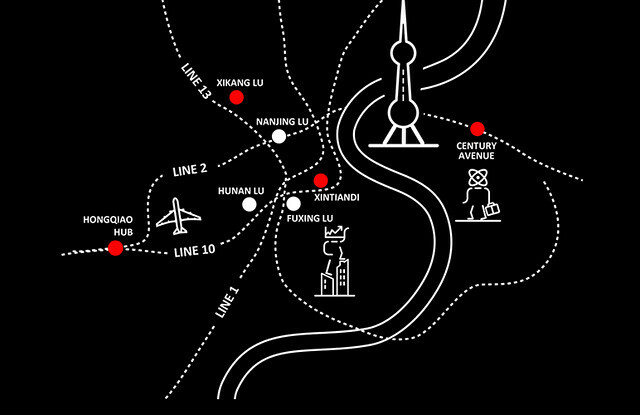 According to the British Council, there are nearly three million startups in China in 2016 ; 12,000 new businesses were registered each day in 2015, which makes approximately eight per minute. According to Zhang Lulu, a journalist on china.org.cn, angel investments also increase : "The investment money amounted to US$526 million, a year-on-year increase of 161.7%, and the trend has shown no sign of abating." This sudden rise in self-employment across China can be explained by high unemployment rate, standard of living increase and governmental support given to entrepreneurs through subsidies. At least 20 % of the 37 millions of Chinese young graduates don't find a job. Furthermore, China is no longer a low-cost manufacture country. Even Chinese manufacturers move their factories out of China to India or Vietnam where workforce is cheaper. To face these stakes, Chinese government launched a campaign called Made in China 2025 in 2015. This program aims for a change from a labor market to a value-added services market. Frédéric Bretar explains that only 20% of Chinese value-added products are designed and made in China today. With "Made in China 2025" policy, the government wants to increase products made in China to 70 %. In order to achieve that goal, the policy includes a particular action called "1,000 talents" to keep high-qualified Chinese people in the country. It explains why companies get subsidies when they establish research center on the attractive East-Coast cities such as Guanzhou or Shenzhen. It also explains why they have lower taxes when they build their polluting factories in the country. Actually "Made in China 2025" policy reveals a global change of mindset. The Chinese government doesn't want to import technologies from other countries anymore, but to develop them by itself. Maker spaces, co-working spaces, incubators and accelerators have spread across China since the government changed its strategy. The speeding of their implementation is remarkable. According to the British Council, there were 100 maker spaces in the beginning of 2015 and 200 at the end of the year. But while co-working spaces are implemented by businessmen and without any support from the government, players as universities or big companies design maker spaces and perceive public subsidies. For co-working spaces providers, competition is tough between new players who battle to purchase as many buildings as they can. It works ! Some of them achieve an occupancy ratio of 90 % - 100 % in a few months. 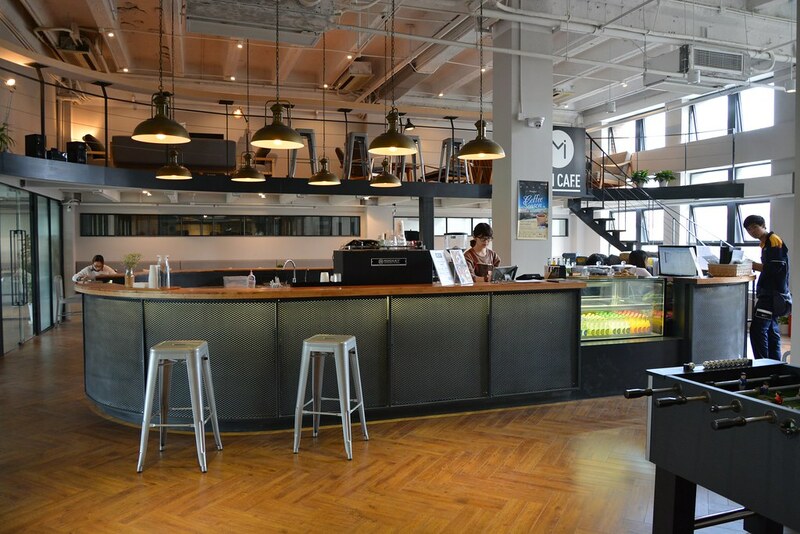 This is the case for MIXpace and Naked Hub, two famous co-working spaces in Shanghai. MIXpace is a startup created in 2015, a new space provider in Shanghai. We had a guided tour in the co-working space dedicated to entrepreneurs. They needed four months to build and design this 2,000 squared-meters space, with the first two months dedicated to improve the quality of the building including air pollution problem. On April, MIXpace owned 30,000 squared meters and wants to expand to 50,000 by the end of 2016. MIXpace has two other co-working spaces in Shanghai, targeting designers and financiers. The prize of a sit varies according to the target. 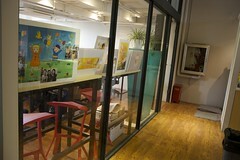 If a sit costs 1,600 RMB (219 euros) per month for entrepreneurs, designers and financiers pay more. Each target works in a specific space because of their solvability, but MIXpace links finance people, designers and entrepreneurs by developing a new retail concept store. 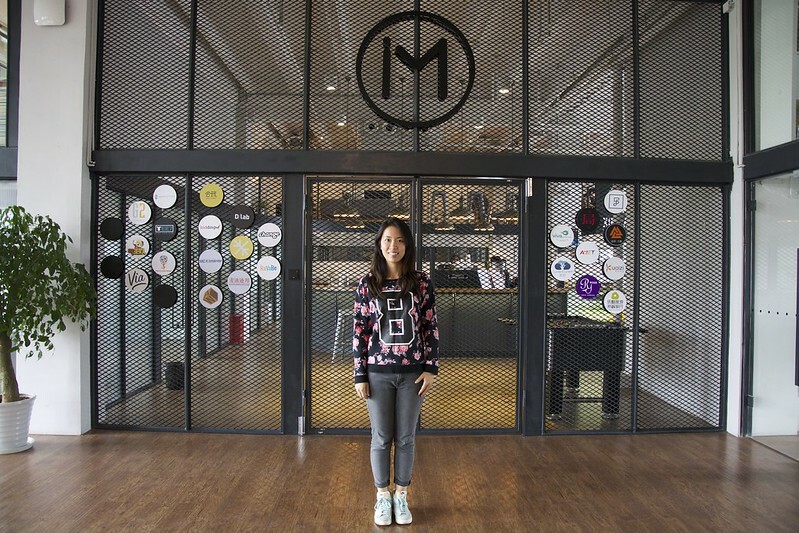 "Our retail shops are like shopping mall but smaller", says Jackie Chen, the space manager. One person works in each space to link people and a mobile application enables users to connect together. On April 2016, MIXpace was open for four months. Young people and stable small companies already rent 90% of the sits. IT businesses were especially targeted, such as the crowdfunding platform "yamihaodi", mobile application developers, video producers and media companies. According to Jackie Chen, co-working spaces success depends on several ingredients in China : a huge space to feel confortable, a "like at home" design, a discount and a party to be attractive at the opening of the space, and above all the integration of a famous brand to attract the other businesses. That's why some co-working spaces make actually sits free to famous brands. Live naked is a brand and a new way of life built in 2007. It fosters people to connect together and with nature in every domain of life (travel, work, learn, eat and care). 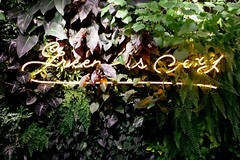 Live naked offers mainly eco-friendly accommodations resorts and co-working spaces. Live naked attempts 20 co-working spaces until the end of 2016. On April, there were already three. We visited the most famous one, Naked Hub , in Shanghai. They needed 3.5 months to build and design it and told us that "even in a fast-moving China this is really, really fast". 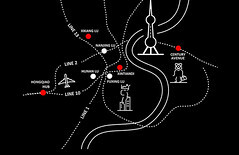 Naked Hub targets entrepreneurs, freelancers and mobile workers from all sectors. It has 2,000 squared meters, 270 sits and 2 floors. 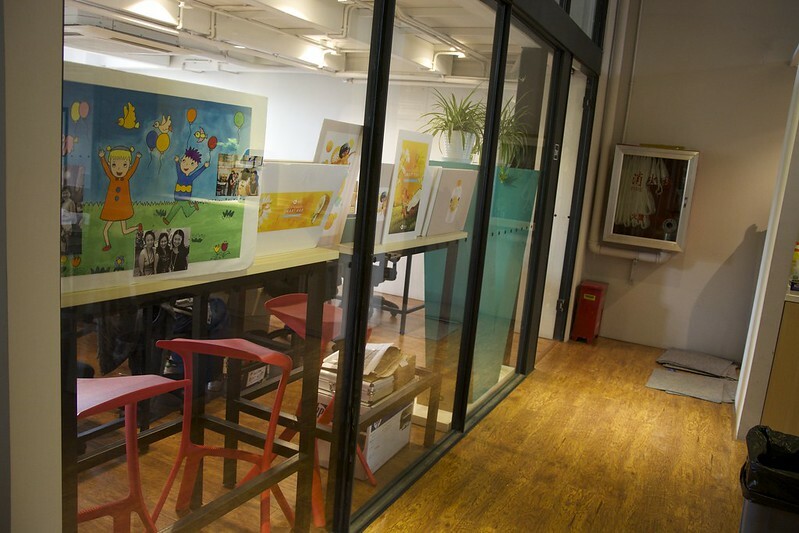 Shared sits costs 1,800 RMB per month (247 euros), desk sits 3,300 (452 euros). 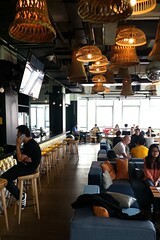 People may also organize events by renting the common space. It offers a yoga class, a massage corner and a ping-pong room. 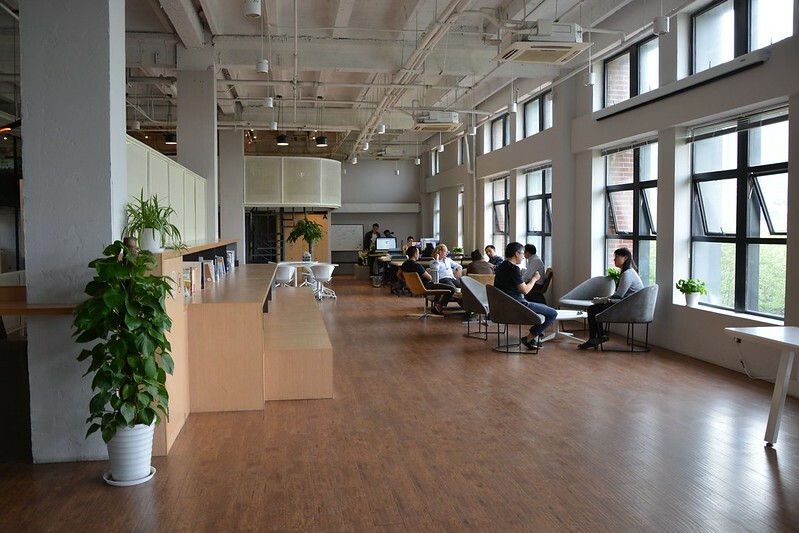 As they need to grow fast to become a leader of co-working spaces providers, they opened this first space in Shanghai the quickest they could. 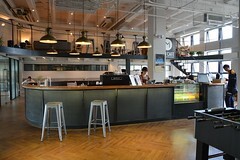 Naked Hub in Shanghai is like a demonstrator. They don't earn money but it helps to be well-known. 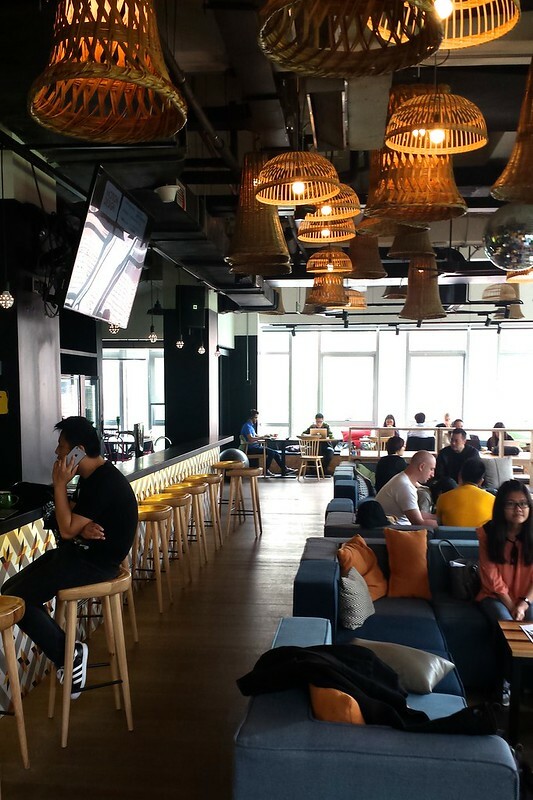 Naked Hub develops an offensive strategy to face other space providers : "Co-working spaces grow fast in China. We already have 3 in competition. We win many buildings." To win buildings is actually the tricky part. You have to keep relations close with the local politicians to render easy building purchase"